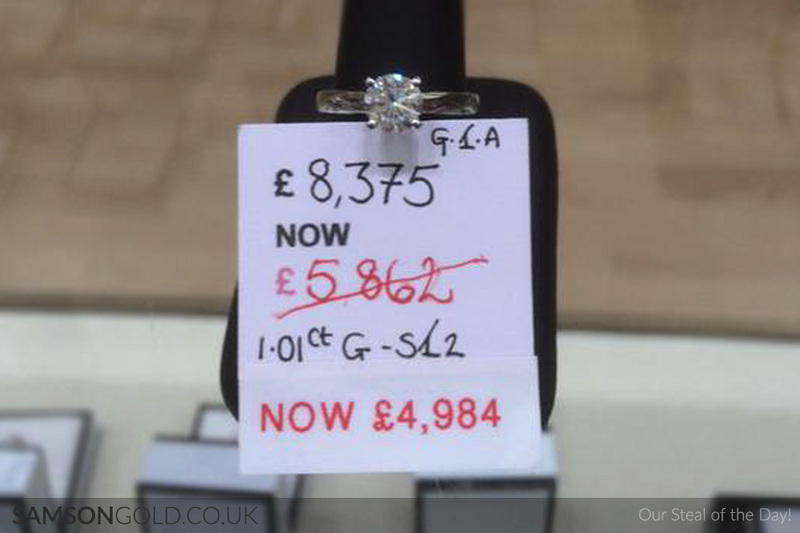 Our steal of the day is this stunning 1.01ct ring in stunning Platinum mount. Reduced from £8,375 to a jaw dropping £4,984! Come in store now to see more of our range at Samson Gold in Birmingham Jewellery Quarter.